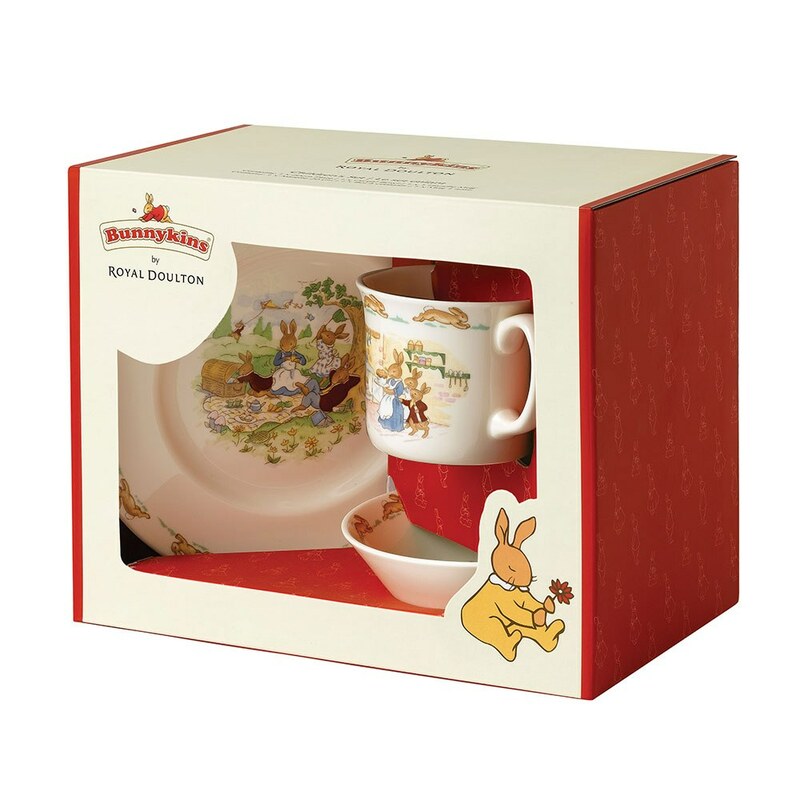 The perfect gift for a child or toddler, this adorable Bunnykins Children's Dinner Set can actually be used to feed your little one every day of the week. 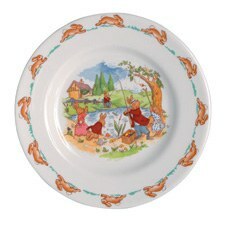 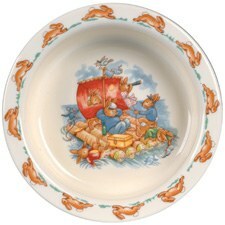 Handmade and hand-decorated, each Bunnykins 3-Piece Children's Dinner Set is as unique and special as the child or toddler you're giving it to; right down to featuring a variety of adorable Bunnykins motifs. 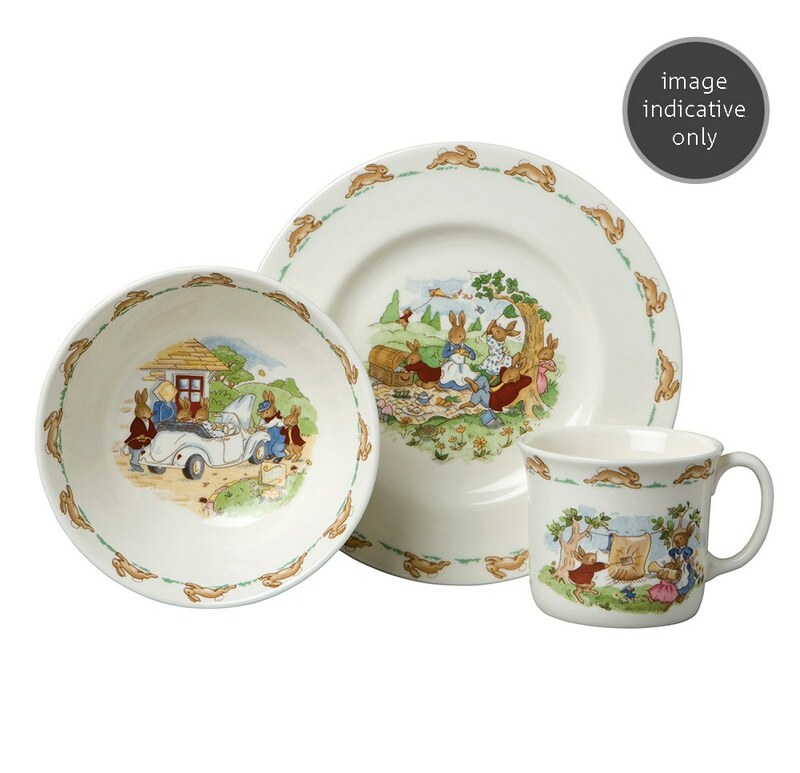 With the included plate, bowl and mug, you can feed your little one every day of the week; all items are the perfect size for little hands and dishwasher and microwave-safe. 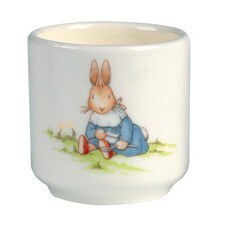 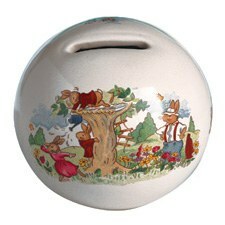 Supplied in a beautiful gift box, this is a present sure to be treasured for many years to come.